Kurt Angle's farewell tour will include an appearance on this week's episode of SmackDown. WWE has announced that Angle will face AJ Styles on Tuesday's show. The history between Angle and Styles dates back to their time in TNA, and this will be the first time they've wrestled each other in WWE. 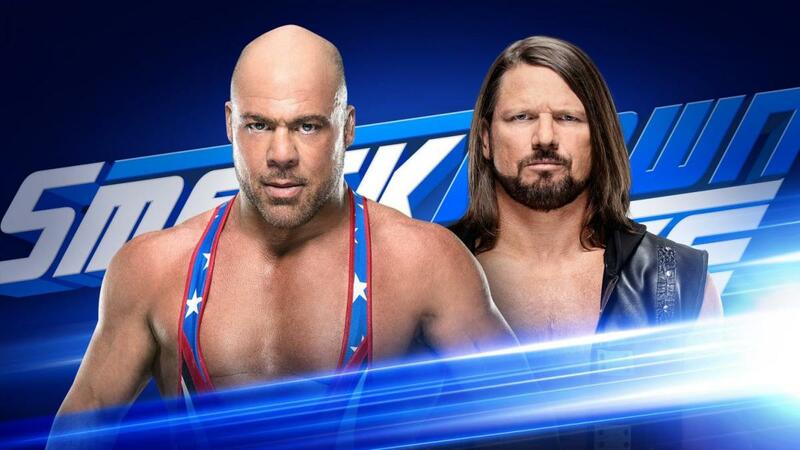 Tuesday's match is being promoted as the final time that Angle will wrestle on SmackDown. Angle has defeated Apollo Crews and Chad Gable on Raw over the past two weeks. On last Monday's episode, it was announced that Angle's farewell match at WrestleMania 35 will be against Baron Corbin. Angle got to pick his opponent in storyline and said that, though there are a lot of people he wants to face, Corbin is the only one he wants to beat. Styles vs. Randy Orton is set for WrestleMania. Tuesday's SmackDown is taking place at the Mohegan Sun Arena in Uncasville, Connecticut. It will also feature a fatal four-way match between Mandy Rose, Sonya Deville, Naomi, and Carmella, with the winner challenging for Asuka's SmackDown Women's Championship at WrestleMania.